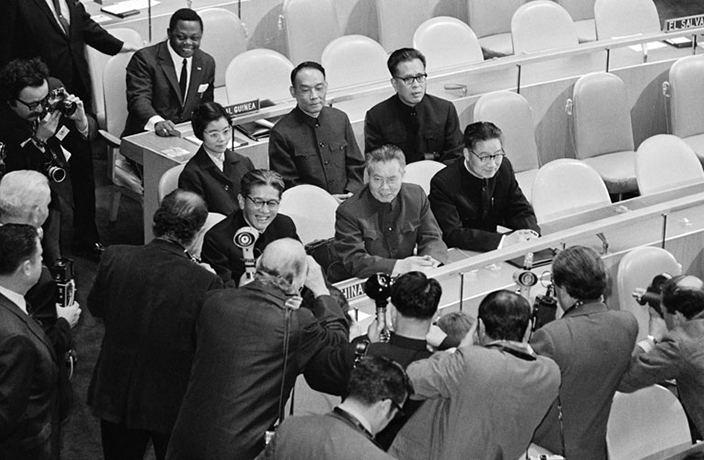 On October 25, 1971, the People's Republic of China (PRC) was admitted into the UN. The vote was split 76 in favor, 35 opposed and 17 abstentions. The United Nations was founded in 1945, and at that time the Republic of China (ROC) was a member of the UN. Four years later in 1949, the ROC's government was expelled from mainland China. They reestablished their presence on the island of Taiwan. The United States wanted the ROC to keep their spot while the PRC was admitted, but their proposal was ultimately denied. The ROC has since tried multiple times to regain acceptance into the UN, but has been unsuccessful.